The North Koreans launch a surprise Nuclear EMP attack on the USA. Our hero, Joe doesn't care about politics or what happened, he just knows his world went to Hell. Planes fell out of the sky, people went nuts looting and killing as he scrambled to hide from all of the craziness. 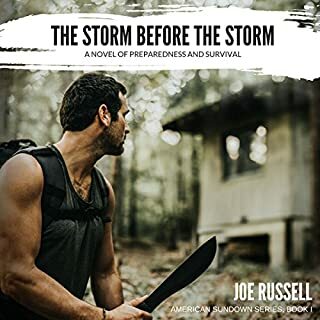 Joe had a cabin and land in Southern Oregon when TSHTF and retreated to the cabin to survive the massive die-off that was always predicted for an apocalypse. The weeks before the Grid went down weren't much better for Joe because his best friend, his fiancé, and his beloved Grandma all died before lights out. After an EMP obliterates the nation's electrical grid on New Year's Eve, it's not long before society unravels and panic ensues. As the lights go out and silence spreads over the city that never sleeps, four ordinary strangers - a bike messenger, a homeless person, a support rep, and an ex-convict - must forge a connection in order to stay alive. When they realize the danger is far greater than they expected, they must embark on a perilous journey out of the city. Days away from a catastrophic event that will end the world, five strangers find themselves stranded in the suicide capital of America dealing with the difficulties, regrets, and choices in their lives while trying to survive. Among the group is a talented performer, a petty thief, a gambler, a lady of the night, and a hard working cab driver. With the clock ticking down and a sliver of hope found in a text message, their only hope is to get out of the city and embark on a dangerous journey across the country together. As a prepper, Dave Galanos has always made an effort to do what he can to prepare for the unexpected. But when something goes terribly wrong halfway through a backpacking trip with his wife and family, his world is turned upside down, and he is tested in a way he had never planned for. Westley Flagg isn't your usual lawbreaker. He's a poacher, a moonshiner, and a prepper, out of necessity. Despite trying to live on the straight and narrow, he knows the law can turn things on you in a heartbeat. When Wes has to come up with money for his Grandpa's surgery, he gets involved with an unsavory group. Living deep in poverty for most of his life, he's become resilient and flexible, but college education can only take him so far. A solar storm sends the northern lights as far south as Texas, and cascading failures in the grid cripple the nation. Now, without communications, Flagg has to prove he has what it takes to still survive. After the deadliest virus known to man, law and order have collapsed. The surviving few are left to find their way among the ashes of civilization. Chaos reigns. Nick thought he was ready. He has a lodge in the mountains in New Mexico, packed full of supplies and ammo. He thought he could protect his family, but the virus took them anyway. Soon, he finds others that rely on him. With everything lost, can he find the strength in himself to go on? Teenager Amanda Castle was like a lot of people, posting pictures of her everyday life to a variety of social media sites. Not everyone who viewed her pictures was there to share in her experiences. One was there to steal her profile pictures. A terrorist in Frankfurt was desperate to please his leadership. He planned the perfect attack, one in which vulnerable people would be invited through social media to participate in a flash mob. There, the unwitting participants, thinking they were taking part in a random act of kindness, would find themselves engaged in a random act of terror. On leave from the US Marine Corps, Jason Black considered himself fortunate the morning an unnatural wind devastated Charlotte, North Carolina. Despite concerns for a distant fiancé, Jason holes up with other survivors in the ruins of a warehouse. Among the survivors, Kelly “Rocky” Cordova is an attractive, 30-something, single mother, determined to return to her Utah family. 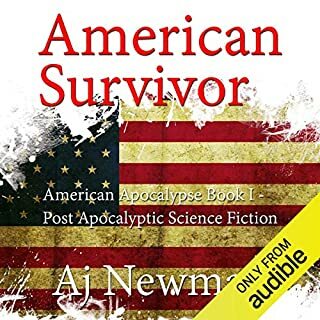 With diminishing resources, the survivors send Jason and Rocky in search of civilization and the cause of the mysterious storm. With the country slowly descending into chaos, a visionary leader takes action. Dave Cavanaugh, a silver-haired outdoorsman, mountain hiker, and billionaire, dubbed the “Richard Branson of the Rockies”, sets in motion a plan to construct walled, gated communities across the country to preserve art, science, medicine, and religion - designed to be islands of calm in a sea of chaos. Much like Noah built an ark before the great flood, Dave intends to build a series of land-based arks before the country completely drowns in chaos. Four college friends, an ex-con, a lonely fry cook, and a secretive group of prepared civilians each battle to survive in southern California after a series of nuclear attacks. Theirs is a gray world covered in ash and nuclear fallout. If the power grid fails, how far will you go to survive?Madison spends her days tending plants as an agriculture student at the University of California, Davis. She plans to graduate and put those skills to work only a few hours from home in the Central Valley. The sun has always been her friend, until now. 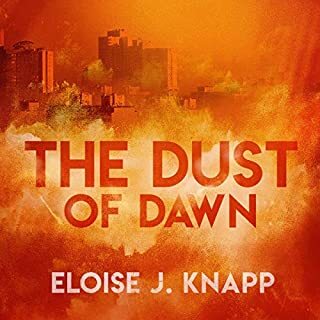 Sam Wade is on a trip to reconnect with his estranged daughter studying in Boston when the interconnected US infrastructure is crippled by an unknown attacker. As the Internet, communication networks, and power grid go down, the world is soon thrown into turmoil and danger. 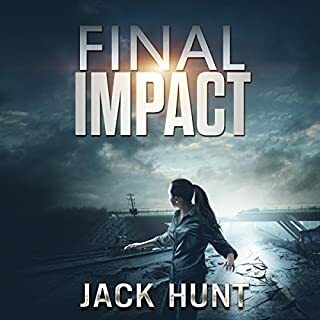 Faced with no other choice than to battle their way home through a country on the verge of collapse, Sam and his daughter will have to face more than a troubled past - the future is deadly. When a killer comet hurtles toward Earth, 18-year-old Joanna Murphy is selected to wait out the apocalypse in an underground bunker. She enters cryosleep with her close-knit team, preparing to resettle the planet after the atmosphere clears in 200 years. Joanna is the only one who wakes up. Faced with a bunker full of bones and a blocked exit, Joanna must claw her way to the surface, figure out what happened to her team, and try not to panic - or die. That’s going to be tricky if she’s the only person left in the world. When everything you count on for your existence fails, could you survive? Within days of a series of monster solar storms slamming into earth, electrical grids fail and everything in the northern hemisphere with a computer chip ceases functioning. Electricity won't be completely restored for at least a decade, and the result is that everything modern life depends on to function is gone. There is no way to pump gas or water. Cell towers are wiped out, along with satellites. Airplanes and most vehicles will not operate. Communication is practically impossible. People cannot access life-saving prescription drugs or food. Police, fire services, and the military are overwhelmed, and hospitals can't cope. There's no one to come to the rescue, and as mass panic ensues, people begin dying. Fear and violence escalate until society collapses. Chaco is a well-educated freedom fighter on a death list in El Salvador. Having fled to the United States, he is in hiding by working for a wealthy couple as their handyman and gardener. Following the disaster, he reveals his true identity, and convinces his employers and their neighbors to follow him over brutal mountain passes to a self-sufficient commune nearly 800 miles away. But only a few will survive. Where does Chaco rank among all the audiobooks you’ve listened to so far? The Star is Chaco because it is a character with depth. What about Chris Abell’s performance did you like? His accents were well done.He is a good performer. The Risk of EMP Weapons to our Infrastructure especially the Electric Grid is real. activity or the use of a EMP Device would not seriously impact our country. All Americans should tell their Representatives in DC that these upgrades are part of our National Defense and that a 70 Billion investment could protect our Multi Trillion Dollar economy. This story could be Science fact in the future and we are sitting Ducks at this time. I loved every minute of this book, the story is vivid, it pulled me in and I saw and experienced everything right along with the characters. This dystopian book shows in horrifying clarity just how quickly society breaks down once disaster strikes. The character interactions show how much we assume about people and how out opinions of people are formed on very little information, and just how wrong those assumptions can turn out to be. The characters are complex and realistic. 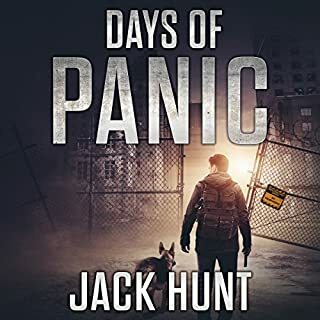 The narration is excellent, I enjoyed the character voices and the accents were quite well done, the delivery worked well with the tones and emotions of the story. I received a free copy of this book from the author and/or narrator and/or publisher and I voluntarily wrote this honest review. If you found this review helpful would you please take a moment to click yes below. Chaco is not your typical end of the world adventure. It’s a character driven story. You’ll fall in love with some and cheer them on while hoping some evil power will destroy others. Peggy does a wonderful job of making you feel like your part of this face-paced adventure. Chris Abell did an amazing performance as well bringing all the characters to life. Audible book provided for my honest review. 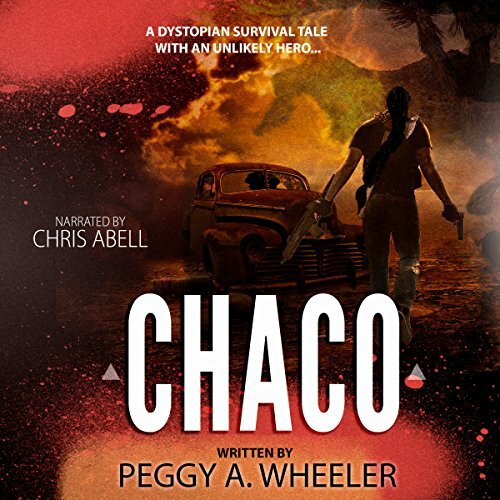 Dystopian fiction is not a genre that I generally pursue, but I enjoyed Chaco very much and wholeheartedly recommend it. Peggy A. Wheeler developed complex characters with depth and substance, and these characters were amplified by the exceptional voice talent. It’s clear that Ms. Wheeler did extensive research into scientific phenonemon, survival strategies, and California geography. Very well done! Overall a great story. Lots of suspense . It is a very good story with likeable characters and emotional scenarios. Hopefully there is a continuation. It was a great listen. The story continually throws you curves and keeps you guessing. You root for the unexpected heroes and boo the many bad guys. I enjoy post apocalyptic books and this one fitted the bill for me. The story was good with a plot that moved along nicely. There are various characters to either like or dislike and they seemed believable. Friendships are formed and enemies made. The story starts just before a solar storm hits earth. An arc that could become a reality one day. 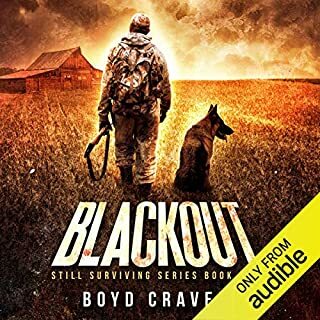 I thought the narrator did a good job with the audiobook and characters. I would certainly recommend this book. I love the main character. story was good hoping there's a sequel. it really got you thinking what you would do if something like that happened. I received this audiobook in exchange for an honest review. The story centres around Chaco, an El Salvadorian freedom fighter and professor turned gardner. He studies the stars and what is happening with the sun. When sun flares wipe out technology, he along with the family he works for, their son and his family, and their next door neighbours decide to travel to a commune where their daughter lives. In somewhat typical fashion (in my opinion, anyway), the majority of people seem to want to loot, kill, and otherwise destroy civilization. I think I have yet to read a book about the this subject where people don't immediately go to the dark side and attempt to destroy due to the lack of leadership and civilization. The group decides to travel to the commune in part due to the fact that men are breaking into houses around them and looting. The group ends up heading into the mountains to travel overland to the commune, so they don't encounter too many other people. There are tragedies along the way, and, of course, tension between the members of the group. I like the author's style of writing; she's very descriptive, and the story is easy to read/listen too and the narrator is quite good.